July 9, 2016. Bee Balm and Purple Coneflower are in full bloom. Joe-pye-weed is in bud. 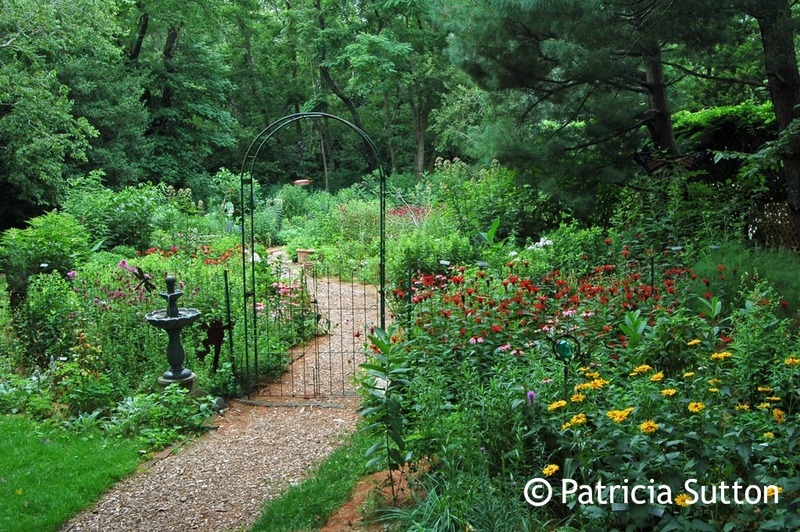 The dark woods are beyond the perennial garden. In the foreground the pocket meadow is blooming lushy where boring lawn had been as recently as 2012. Summer 2018 I’ll be leading tours of our garden through CU Maurice River, a nonprofit organization. Details HERE. We live in southern New Jersey in a rural farmland area of Cape May County. 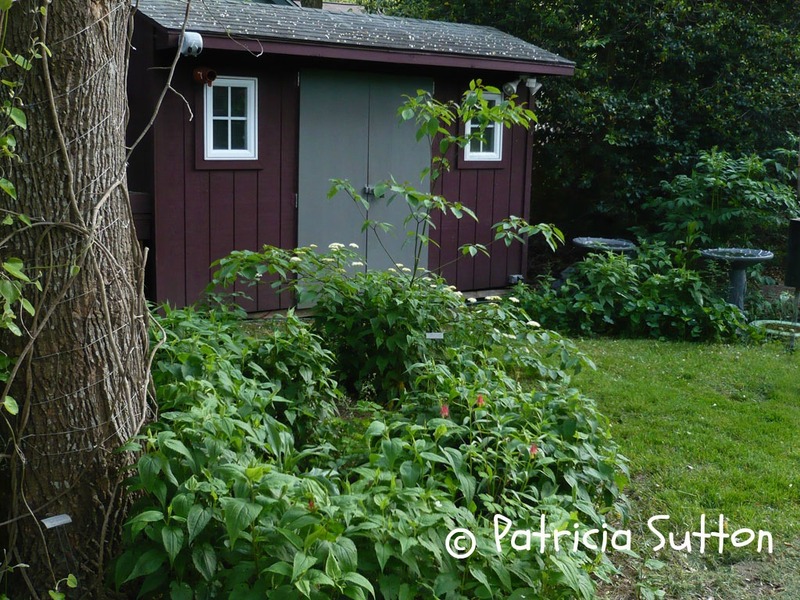 Much of my experience with native plants and wildlife habitat gardening is based here. But the logic and the concepts are applicable nationwide and even worldwide. 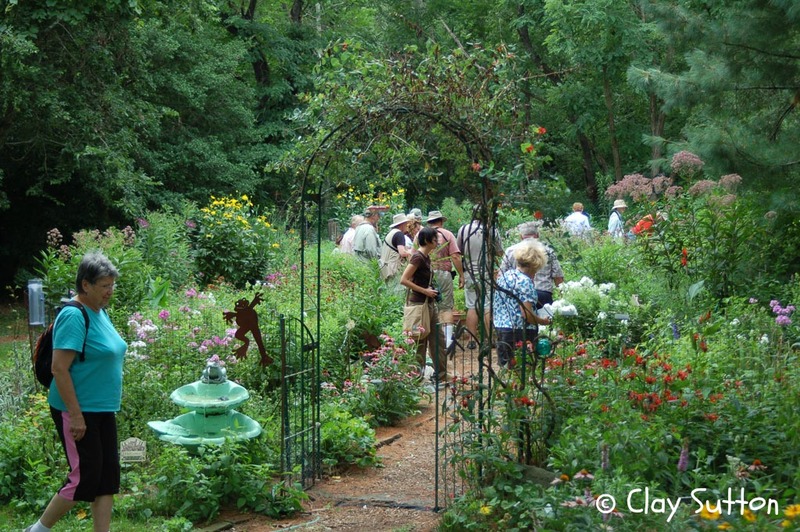 I have presented programs and taught workshops about wildlife gardening all over the country. 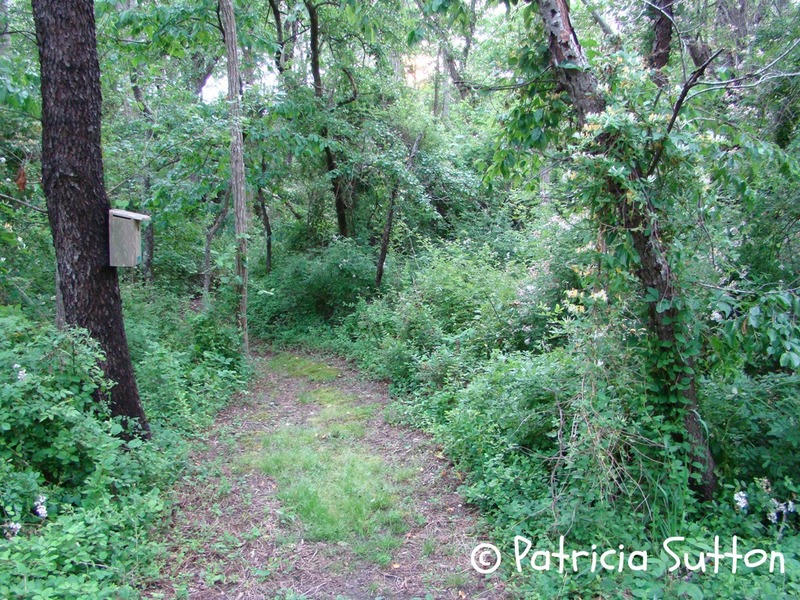 Our wildlife garden dates back to 1977 when we purchased our half-acre property. There was no landscaping except for an old Lilac bush and Day Lilies around the front porch of our 1845 farm house. The person we purchased the property from apologized that his bulldozer had broken down and he hadn’t been able to level the woods in the back third of the property. Thank God, we thought. Even before unpacking, we began planning and planting our wildlife habitat. We had two dogs, English Setters, so of necessity we enclosed the open part of the backyard with a 6′ high chain-link fence. We then chose the sunniest part of the backyard within the chain-linked area and fenced it off from the dogs as our vegetable garden. We let vines and tree seedlings grow up and through the fence, cherishing the privacy it gave us. New neighbors to either side each attacked the growth on their side of our fence (which we’d placed well within our property line, by the way!). Eventually they ran out of steam, thankfully, and today’s living fence (a hedgerow really) gives our backyard a feel of complete privacy far from neighbors, even though they’re a whisper away. 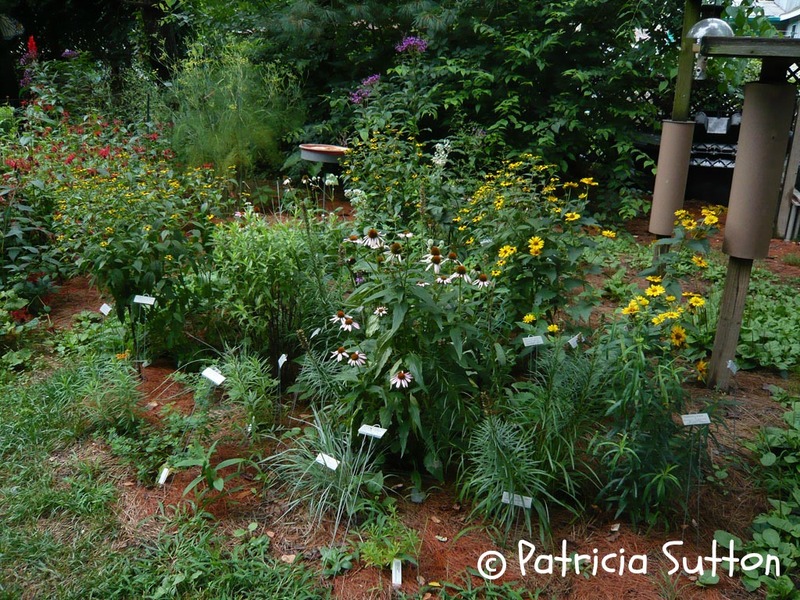 Over the years as I learned more and more about wildlife gardening and as I (very slowly in the 1970s and early 1980s) found gem native perennials, I began tucking them into our garden until eventually there was little room left for vegetables. With the proliferation of roadside farm stands and with Jersey Fresh produce available nearby, it seemed to make more sense to grow pollinators instead. Our entire garden is on our septic field, so it is full of perennials but no shrubs or trees. In 1977 and 1978, Clay chose not to mow the backyard to the left of the vegetable garden to see what might come up. 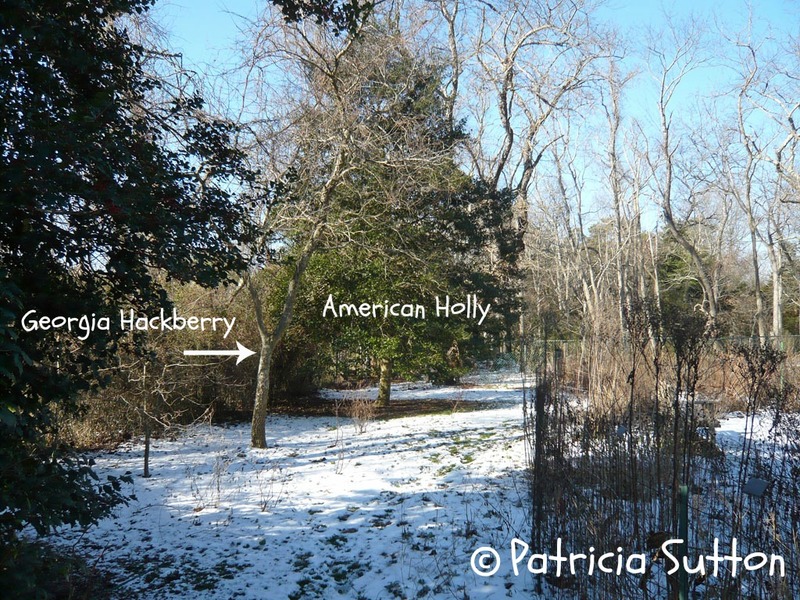 An American Holly and a Georgia Hackberry tree both sprouted from bulldozed roots. Today they are beautiful and sizable trees. In 1984, I planted a Tulip Tree because I love this native and because Tiger Swallowtails lay their eggs on its leaves. It was only a foot tall. I told Clay that eventually it would shade the house. “Right,” he said sarcastically as he looked down at this bit of a thing that was no bigger than a ruler. Today he eats his words as the 60′ tall Tulip Tree towers over our roof. Our Tulip Tree was just one-foot tall in 1984. Today it towers over our roof. At the same time I planted some White Pines that I found as 3″ tall seedlings coming up in the gravel pit behind our property. Today they too reach to the sky but have lost most of their lower branches due to heavy snows and winds. I wish I’d known then what I know now and instead planted Red Cedars that, being more local to South Jersey, would have better stood the test of time. If you haven’t guessed it yet, the best time to plant a tree is twenty years ago. Many of the trees on our property were planted by the birds, including dozens of Georgia Hackberries, a Red Maple, Red Cedars, and American Hollies, all because Clay paid attention and chose to mow around tree seedlings rather than obliviously cut them down. We’ve had wildlife water features since the 1980s. Our first “ponds” were old cast iron bathtubs that we placed deep in the ground. They were free (sitting on a curb for pick up) but not ideal for wildlife due to their steep sides. We created our next pond with a flexible rubber liner. I planted Cattails because they’re native and because Ruby-throated Hummingbirds use the fluff from dispersing Cattail seed heads in nests. But this was a big mistake for a small pond! The Cattail roots outgrew the pot and filled the pond to the degree that we could walk across it. I tried to dig them out but ended up putting a hole in the liner. In the end it became a sometimes-wet bog. Leopard Fogs on Fragrant White Water Lily pads in our wildlife pond. Today our ponds are easy-peasy lightweight, molded semi-rigid preformed ponds made with high density polyethelene and we’ve never looked back. 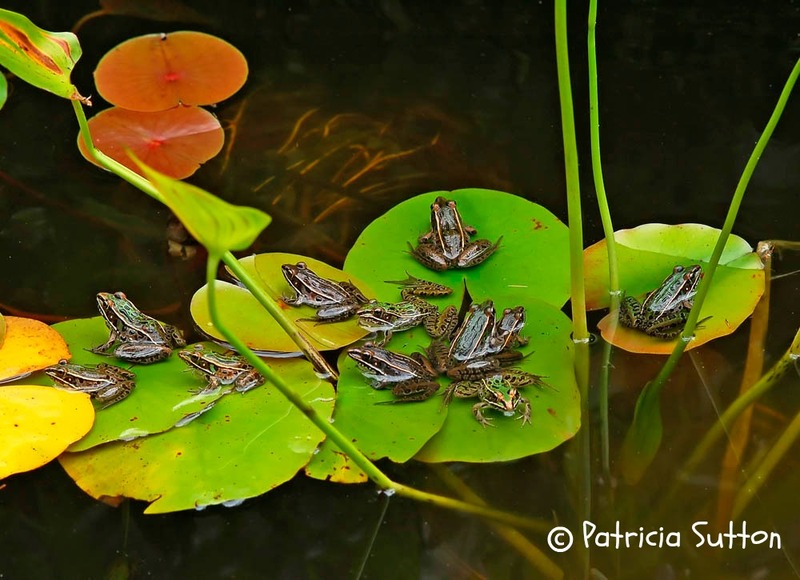 Over the years we’ve documented a whole host of frogs and toads, dragonflies and damselflies, and many other water-loving critters using our ponds. Many visitors to our gardens sprint out to the ponds to see who is at home. No one is ever disappointed; something is always going on. 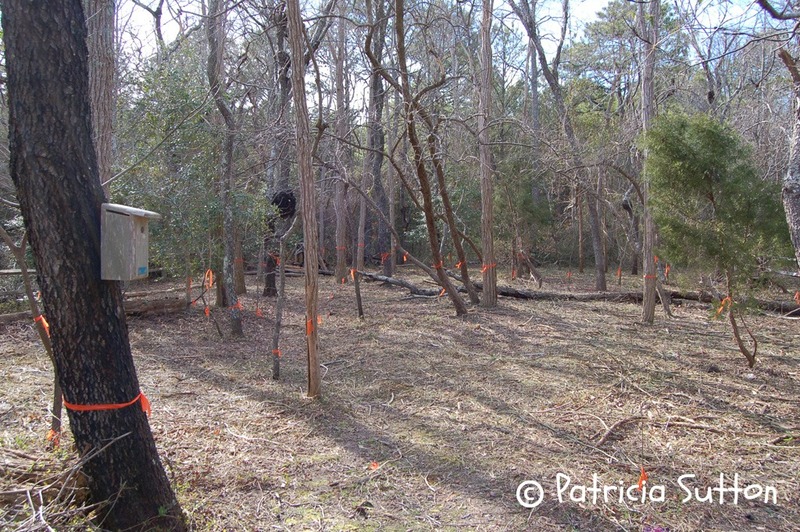 In the Spring of 2009 we tackled our woods, the back third of the property. With years of working full time for long hours, we lost track of what was happening back there. The area had been consumed by an impenetrable, 12′ high, dense stand of nonnative, invasive Multiflora Rose and Japanese Honeysuckle. Clay had mowed a winding path through it for years, but it was impossible to venture off the path. In 2009, we hired a young and muscular landscaper. In one day he successfully cut down and ground up the Multiflora Rose and Japanese Honeysuckle, using a brush hog. Prior to letting the landscaper have at it, we flagged all the live and dead trees we didn’t want him to touch. The same view by the end of that spring day in 2009. After he laid waste to the wall of invasives we dug out the roots or very judiciously spot-treated new growth with Roundup. As soon as sunlight could reach the forest floor, a seed bank of natives began to flourish. Each day brought new surprises. 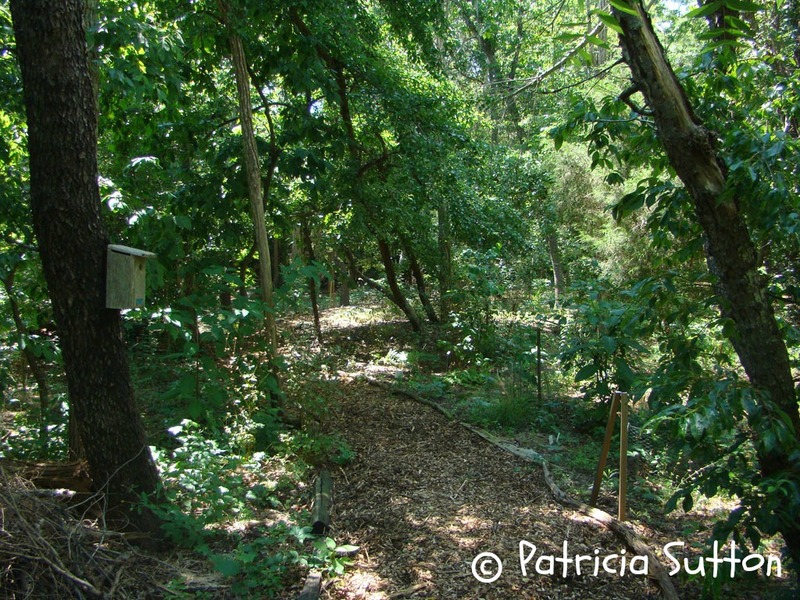 This reclaimed area is one of our favorite parts of our wildlife garden. Walking through the woods is now like walking through a natural nursery. Today there is a thriving understory of native perennials, grasses, shrubs, and young trees in our woods. In 2011 we planted shade-loving native perennials (Wild Columbine, Jacob’s Ladder, Common Blue Wood Aster, and Lyre-leaved Sage) and shrubs (American Strawberry Bush and Alternate-leaf Dogwood) under the now-towering Tulip Tree. Since then these native perennials have seeded and spread further and further into the lawn area and the shrubs have flourished. Now, rather than boring lawn under the Tulip Tree we have a nectar and seed-rich layered landscape that also provides important cover for wildlife. 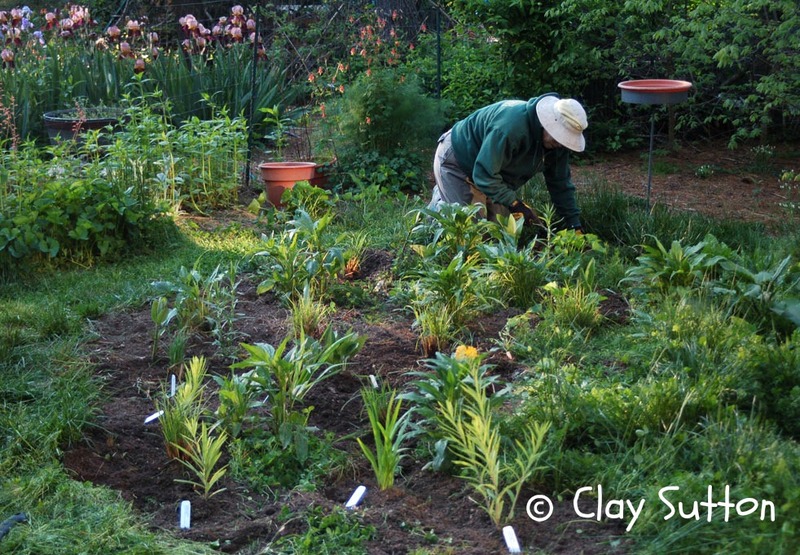 In 2012 Clay stopped mowing a sunny portion of the backyard (his goal is to eliminate all mowing) where we wanted to create a “Pocket Meadow.” I sped up the process by plugging the area with meadow plant seedlings from our garden (Purple Coneflower, Common Milkweed, Little Bluestem, and Indian Grass). August 3, 2014, our two-year-old meadow. Since then I’ve continued to complement the small meadow with additional native grasses and wildflowers, all made easier by the existence of some NEW local native plant nurseries. In 2016, I cut down the Lilacs out front because they were flowering so sparsely and because I needed that sunny spot for a few new native shrubs. The Lilac roots were a bear to dig out and I am still working on it. 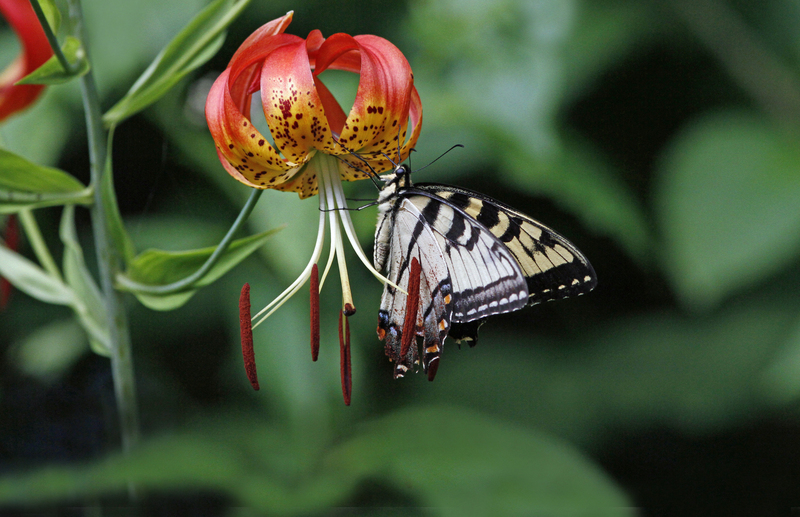 Our little one-half acre in Cape May County has attracted 75 different butterflies and 212 different birds since 1977. That is pretty remarkable. Our wildlife garden has been evolving since the beginning. As we keep learning it keeps progressing. With locally grown native plants now more readily available than they were for the first 30 years of our gardening efforts, the transformation of the garden has speeded up. 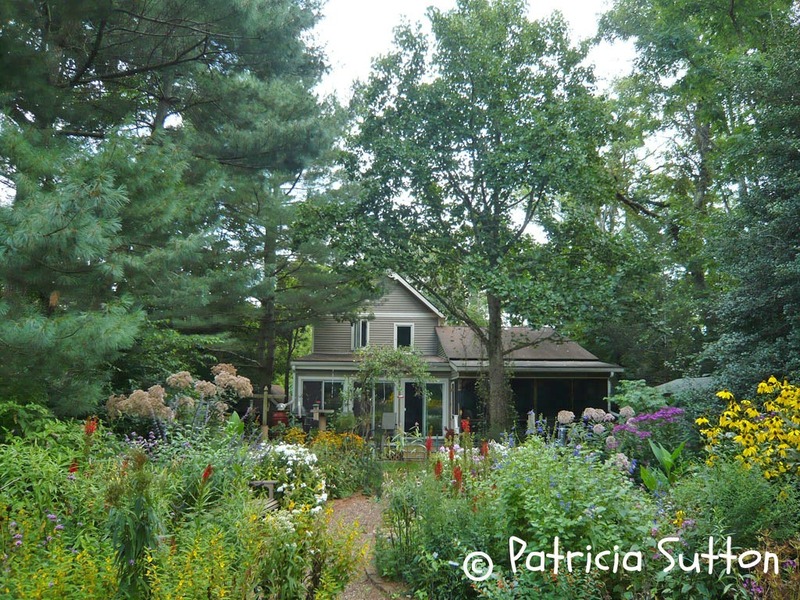 With so many years of trial and error, I now use my wildlife gardens (during the workshops I teach and the garden tours I lead) as teaching tools to help spare others the growing pains that Clay and I experienced. We are proud that our wildlife habitat was chosen as one of 15 “Birdy Backyard All-Stars” featured in Bill Thompson III’s book, Bird Homes and Habitats (published in 2013), and was one of 29 gardens featured in Nancy Berner and Susan Lowry’s Gardens of the Garden State (published in 2014).